1. ARE CASINO THEMED PARTIES LEGAL? Yes! Casino parties are for entertainment and fundraising purposes only. Real money is not wagered, we provide Prestige Play Money or Custom Play Money! 2. WHAT AREAS DO YOU PROVIDE SERVICE? 3. IS A SECURITY DEPOSIT REQUIRED FOR TABLE RENTALS? Yes, we require a 50% deposit to secure your event.The balance is due the day of the event. 4. IS REAL MONEY WAGERED? No, real money is never wagered! 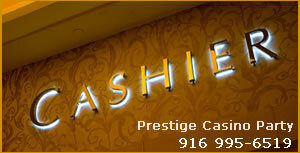 We provide Custom Play Money or Our Prestige Play Money. Our quotes do not typically include chairs for poker tables or stools for blackjack tables. Please specify if you want this option on your quote request, we can accommodate small parties and have referrals for larger parties. 6. WHAT IS YOUR BOOKING POLICY FOR CASINO PARTIES,EVENTS AND FUNDRAISERS? We accept all major Credit Cards, Check, or Cash! Your deposit will be refunded in full if you cancel your event 30 days prior to your event date. If you need to cancel or postpone your event within the 30 days prior your deposit will remain on your account and will be applied to your new event date. We do not refund any event booked in December, your deposit will be used as credit toward a future event if you need to cancel a December Booking!